her comment: There is an awful lot to like there but I liked the fabric. I am a sewer and thought the fabric was really nice. The Little Golden Books Box Set includes six classics you'll remember. They're perfect for reading at bedtime and then for beginning readers to try by themselves. Plus the set includes a bonus blank book, replete with signature gold-foil spine, so your budding writer/illustrator can create their own masterpiece! These monogrammed retro aprons make me giddy. Yes, they're sort of a throwback to a pre-feminist era but I love them anyway. Can you imagine the twirling possibilities?! 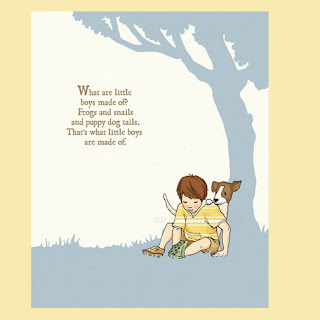 I'm also totally enchanted by these vintage-inspired illustrations by Sarah Jane Studios. Warm Biscuit has cherry-picked several of her sweetest drawings and you can have them personalized to resemble your child's coloring. But my new favorite drool-worthy selection (coveted more than even the illustrious custom-upholstered loveseat/toybox) is the sublime Kimono Girls Twin Bedding. It doesn't even phase me that the kids shown are Chinese, not Japanese, so there's nary a kimono in sight. It's absolutely stinking adorable. If I won the lottery, it would be mine. I mean, Roo's. To enter and win a $50 gift certificate to Warm Biscuit Bedding Company, please comment on this post with your favorite item from their website. Entries will be accepted through April 9th and I'll pick the winner using Random.org. I love all their stuff and I did see one thing I know my son would love the Pirate Playhouse.It would be nice to win...Thanks for the chance! I love the posy twin bedding. great giveaway, thanks! I love the engraved photo necklace! I love all the pirate toys. I love the personalized storage boxes. Perfect to keep toys and books neat! My kids love to tinker on the piano so I think the thing that I would get is the red child sized piano. I'd like either the vintage girl clock for my daughter's room. Love the red ticking loungewear! I would love to be able to get a beautiful moses basket for my baby due in June. The Aqua Damask Moses Basket is lovely! I'd love to win one of the kids cooking sets for my niece, who's birthday is coming up in April. They have so many cute things at Warm Biscuit. Thanks Naomi! I love the pirate playhouse and I'm sure my son would too! The book nook bench is soooo charming! AND I love the farm cabinet! Too cute~ Thanks for hosting such a great giveaway! I love all of their fabrics and anything from Sarah Jane Studios. I want that pirate play house!. umm, I mean my son does. I want the kimono bed set!! It's so hard to choose! I love the lemonade stand. There are so many amazing items to choose from. Here are few of the things I would be thinking of getting. I better stop or I might list the whole website! What a great store. There was alot that I liked, though my favorite was the tea set. Perfect for tea dates!!! Wow, tough call! I would think my son wouldn't even hesitate and would choose the vintage firetruck bedding. I'd love the posy bedding for my girls!! Thanks so much!! This site is fantastic! I love all the fabrics they have...and the sweet moses baskets. I love the pirate toys, too! Thanks for the chance to win! Oooh la la, I love Warm Biscuit so much. They also send out a drool-worth paper catalog. I usually end up circling just about everything in it for my wish list. I'd love to get one of their amazing and gorgeous custom shower curtains for my kid bathroom, one of their beautiful personalized dresses with ricrac, or even one of their retro toys. This store is the neatest site to shop ever! I am a fabric addict, so my pick(among many..) is the "Green Leaf Fabric"! Oh wow! That's so difficult. My very favorite is probably the fairy playset, but I also love the play stove, the blond doll, the black children's sewing machine (how sweet is that? ), the tote 'n go kitchen, and the vintage train bedding is gorgeous. Lots of great stuff there, far more than I can possibly list here! But my first pick would be the Fifties Kids Car - what a classic! The Fisher Price Chatter Phone reminds me of the one we had when I was a kid. I think my son would love to play with it. I love the school house play house! Fun fun! the airport looks like fun. my 3 year old would LOVE it! I ADORE the Toddler Boat Bed!!!! I love the Booknook Bench! I wish I could buy one for each of my kids! The personalized purses are too cute! Oh my goodness, the fairy play set is awesome! My girls would have so much fun with that one. Thanks! I love the Handmade Fabric Doll. She's so unique and adorable! As a mom of girls, I have to say the kitchen playset is the best! I would probably go for the fabulous fabric choices! If I won, I'd get (one of the items) a Fisher Price Chatter Phone. I had one as a child and it brings back good memories. 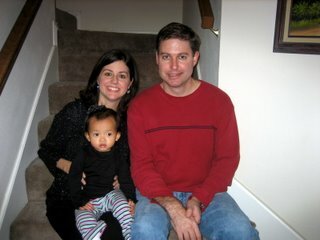 I'd love to be able to share those memories with my daughter! Thank you for the chance to win! I would love the girls custom collection box! I have a brand new neice and have been wanting to do something special for her. I love the School House Play Tent! What a cute idea! I would love to get some of their color fabrics! I the engraved jewelry box. Very pretty. I really love the Green Posy Moses Basket - the fabric is so pretty! 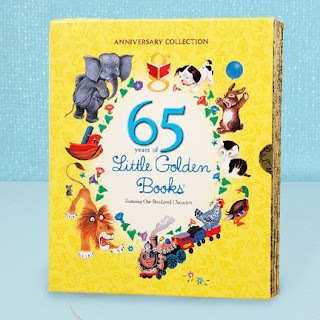 I think I would have to get that 65 Little Golden Books. I also love the hot pink Jersey sheets for my daughter's room. i love the tooth fairy pillows...the owl and the elephant. My mom made me an Easter Dress with a fabric just like the Pink Seersucker Gingham fabric. It was gorgeous with the cape she made to go with it. I was just telling Papa about it yesterday how much I loved it. Now...I want it! Out of stock..NOOOOOO! Love the vintage girl clock! I love the pink poodle lounge wear! Thanks for the great giveaway and introducing us to Warm Biscuit Bedding Co! This is a great website. I love the wooden block set. I also love the aprons. It is all really great. Thanks for having a cool contest. That airport set would go perfectly with my sons train set. Sign me up. Thanks alot. There are so many wonderful products there! In thinking about my grandkids, I really liked the Airplane hooded bathrobe and the Tea Party Aprol (I know the apron is sold out but I hope they will get more; I have a "girly-girl" granddaughter that is into Tea Parties! There are so many beautiful items on this site! My favorites have to be the fabrics, though. As a crafter in an area where there aren't many nice stores I am in heaven!! Moses baskets, the scrapbooks, the girls monogrammed dresses, kids sofas, lovely necklaces (love the Hope necklace)...Love it all! I love everything Warm Biscuit has to offer! 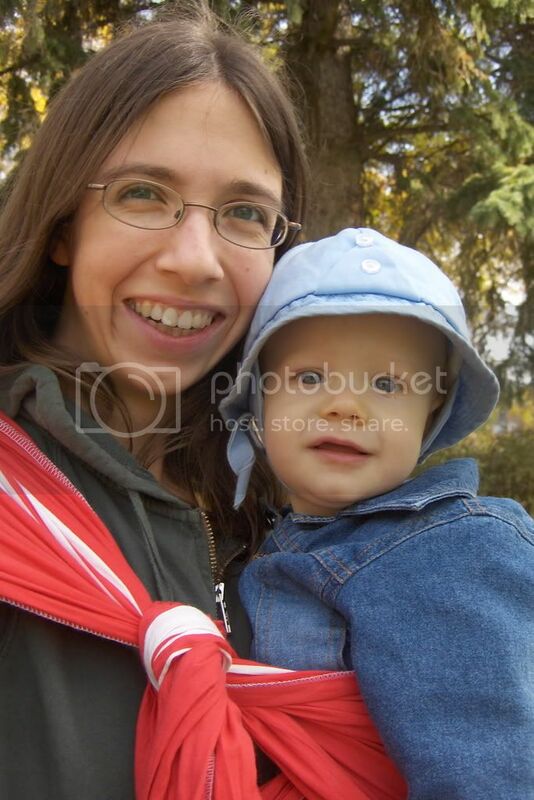 I would love the Pirate tent for my son. The booknook bench, or any of the custom furniture, would be great for my son's room. We're moving all his "baby" furniture that is not being used anymore into the nursery for the new baby. So, his room will be pretty bare. It was hard choosing any one thing all the stuff is so cute! But I do like the Magnetic Note Board. 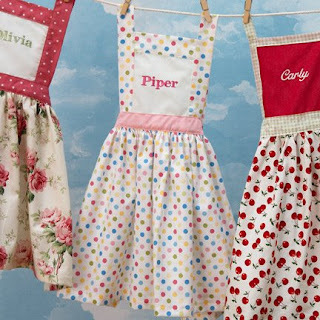 Oh, I just love the aprons --- they are too darling! Besides all of their beautiful bedding, I really like the Large Hamper that you can choose colors and fabric for. 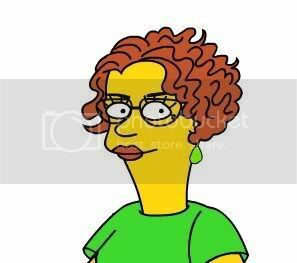 Ummm--one favorite? That's hard! I love the aprons, too, and the magnetic paper dolls, and the brunette doll, and the play dough set, and the birthday tea set, and so much else! Okay, I'll stop now--but I really want to win! I love the birthday organizer and school days organizer books! i really like the booster seat-my daughter does not want to be a baby anymore with her highchair, but she keeps falling off the table chair-this would be perfect! I really like the Vintage Baseball and Football bedding for my boys' room. i like the kitchen play set. love the Engraved Necklace!! thanks so much!! I love this stuff. I think I'd go for the peg board. I've been looking for something just like this to hang up all those kid jackets. I'd love to get 2 sword & shield sets for my twins! They have very cute toys!! Thanks! I LOVE the drum kit! Rock on!! I HEART the wooden toy box! Ooh, just seeing the Little Golden books set brought back memories!! I absolutely want my daughter to grow up reading those!! I love all of their products but my favorite is their bedding. It is SO adorable! The custom kids' furniture is very cool. The mobiles are very cool and unique. Their personalized jammies look super comfy... everything is so cute! Thanks! I hope to win! Thanks for the chance! Please enter my information to win this cool gift surely can use. New grandbaby arriving in sept so searching for unique and different items. I love the fire truck bedding! The boys would love the pirate toys. Great giveaway, thank you. I am lovin' the cherry apron! Too cute! Everything there is great! I love their fabric! I must be greedy, because I want everything! I know where my tax refund is going. My favorite is the Vintag Tea Party Art print. It is so sweet. I like the engraved photo necklace and the engraved bracelet. I like all the engraved stuff. It's very vintage feeling. I love the Gone Fishin' bedding! If I win I'm totally buying the Monogrammed Baby Dress with my daughter's name!!! I really like the looks of the wooden memory game they sell. Thanks for the giveaway! So hard to choose but I would pick some of the nostagic fabrics for quilting! Thank you! I love everything at warm biscuit. I love the personalized retro aprons. Our kids' names are too unusual to ever be on anything. I like the vintage clock, and would use that in my own bedroom. I've always loved the Moses baskets! They have such cool goodies there! It is next to impossible to pick a favorite from this store. I love the monogrammed birthday dress, though! If I won this, I would have a hard time not buying the engraved circle necklace for myself! I also love the Child Art Supply Jar, Mom Organizer, Kid Recipe Box, and a Spirograph! I like the Schoolhouse Key Box. My little one loves keys and this looks like a really neat toy. Thanks! How to choose?! I really like the Golden Years First Puzzle. also, the silver race car! The kimono bedding is great. My favorite things are the Pirate Playhouse and the Sword and Shield set. Awesome stuff! I love everything, but since I do lots of baking, I want to start teaching my new granddaughter in the near future. I like the Kids Cookie Play Set. The girls Rocking Chair is awesome! I really like all the pirate things and the wooden toy box! I like the personalized storage boxes. The Ballerina Girls Room bedding set would tickle Liz all to pieces. So cute. Thank you for this great giveaway. There's so many great things to choose from. I love the Polka Dot apron and the Fisher Price Television. (I remember these from when I was a kid.) Thanks again and please enter me. Expecting a new baby boy coming in August, I'd have to use this toward crib bedding, especially the football set. All the baby stuff I have already is PINK from my daughter and that just isnt going to fly!! I love this catalog and I appreciate the opportunity to win a gift certificate. The retro aprons are perfect for my twin daughters who are quite artistic and helpful in the kitchen. What a great giveaway!! Thank you!! Love the wooden pull toys-so cute and colorful! I would have to pick the vintage train bedding since my grandson loves Thomas. He would just love to have a room at my house decorated in trains or "toot toot" as he says it. I absolutely love the Dragonfly Crib Bedding. Beautiful! I love the Red Flannel Loungewear. The Parking Garage looks like fun! I just know my son would love the"pirate's playhouse. I really like the Puppet playhouse and the airport and car garage toys. Fun for a child's imagination. the kids cookie playset looks awesome! I love this company and would love to have a shopping spree! My son would LOVE the monogrammed fishing vest or the birdhouse that can be decorated. What a great site! I really want to encourage my daughter to love reading. I think it would help if she had her own quiet reading spot, and the personalized upholstered couch would be perfect! I love the monogrammed art smock, which is what I would buy if I won the gift certificate. The Pirate Playhouse is fantastic. I would probably choose the Piratology Board Game. My kids would enjoy playing it. the dragonfly bedding is my favorite, I also like the engraved locket and bracelet. The custom toddler bed is so simply cute! Great stuff! Love their monogrammed retro aprons especially the polka dot one. Train lounge wear would be a big hit in my house!! My son can not get enough of trains!! i really like the toddler fish loungewear. I love the Pink Pony bedding. I would get something from that line! I love allt he Dragonfly bedding! Wow great stuff .. Love the toys and the jewelry. The Girl's pink Easter Coat is adorable!! The retro apron and golden book set!! My nephew has an airplane themed room. How wonderful that airport is! 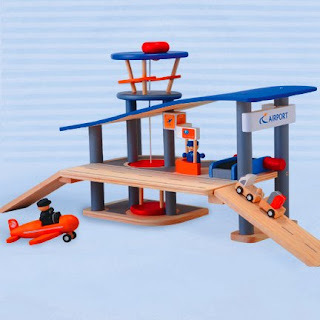 I love the airport set - my son would have so much fun playing with it. I love Warm Bisquit! I'd get the kids cooking set for my daughter. Absolutely love that they have aprons that are for boys. I think the Boy's Monogrammed Apron is wonderful. Well, it was obvious which would be my favorite...I have two daughters (Patience 6 and PIPER 4) so without further delay...my favorite were the monogrammed aprons. I have made them countless aprons for them but the ones I saw top them all. I would love an apron each for my two girls so that they could too admire what excited me to no end...PLease pick me!!!!!! Patience and Piper would really, really, really enjoy it and I would be extremely appriciative!!! I love the Ballerina Names Tiles. Golden Years Book Set - brings back memories! It's hard to pick just one, but I just like the classic toys in general. I love the Fairy Set! 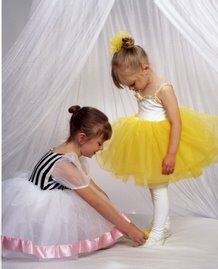 I pink puffy heart every freaking thing on their website but I love the ballerina jewelry box for my soon to be 6-year-old! I love The Little Engine That Could Book Set! I like the wooden rocking horse. I like the rocking chair or the wooden blocks. the smocks! the lunch boxes! the play tents! too much cool stuff to choose from. i could do major damage there! The Little Golden Books box set is my favorite and there are several yards of fabric screaming my name! There is an awful lot to like there but I liked the fabric. I am a sewer and thought the fabric was really nice. I like the Vintage Boys Football collection! Thanks!! I think their Washbin Tin Pails are awesome!! Are you kidding? ONE favorite item? Impossible. We do need a toy box and these are really nice. Thanks. I looove the items that Warm Biscuit offers. If I won the GC, I'd have to get the fish loungewear and the boat in a bottle kit for my sons. i LOVE their custom bookshelfs!! I added you on prizeatron too! The Halloween cookie cutters are so cute!